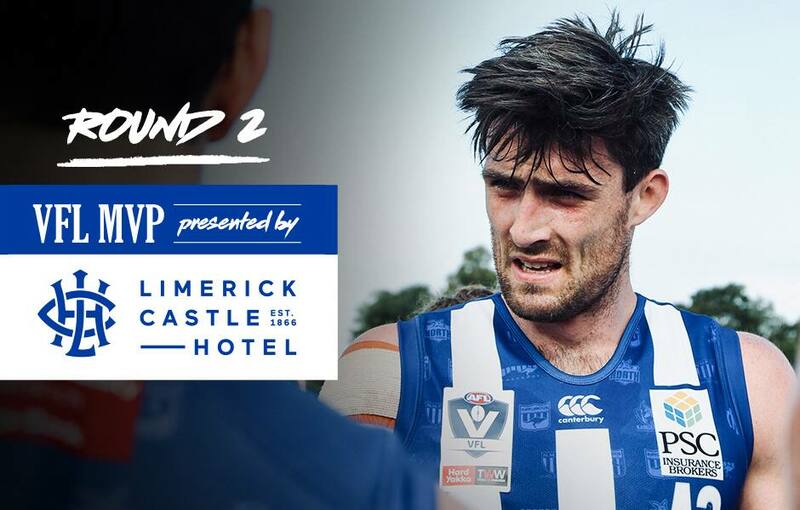 Each week, the best VFL player will be crowned MVP – Presented by the Limerick Castle; a country-style pub located in the heart of North Melbourne. Having spent time with the 27-year-old veteran on the track, Tyson knew the big man was within range. “I’ve seen him at training strike them pretty well,” Tyson told North Media. “To be honest, it gave everyone a bit of chance to have a 30 second rest, so I was happy he went back and had the set shot. On a tough day for the Roos, Campbell stood tall, earning his recognition as the Limerick Castle MVP. He kicked two goals, dominated the hit-outs with 62, racked up 19 disposals and laid 8 tackles. “I thought he was outstanding,” Tyson added.